Still looking for deals on holiday cards? 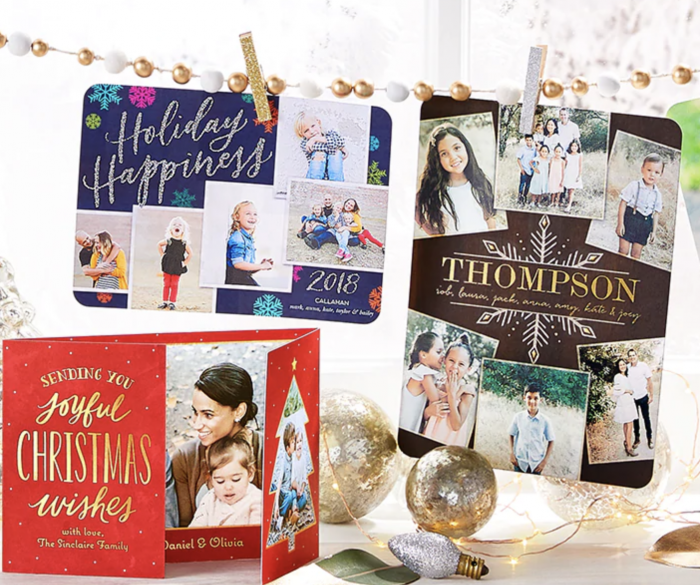 Right now, Shutterfly is offering 50% off their Foil and Glitter Holiday Cards plus FREE shipping when you use coupon code DAZZLE at checkout! This is a RARE offer, so it’s a great time to order Christmas cards or personalized gifts. Valid with guaranteed Christmas delivery through December 15, 2018. « *HOT* Little Tikes Princess Cozy Truck Ride-On only $49.99 shipped! Previous article*HOT* LEGO Classic Mission to Mars Building Kit (871 Pieces) just $35.99 shipped! Next articleFree Burt’s Bees Holiday Gift Set after rebate!! Kids Animal Soccer Balls only $11.99 shipped! Gevalia Signature Blend Coffee, K-Cup Pods (100 count) only $30.05 shipped!